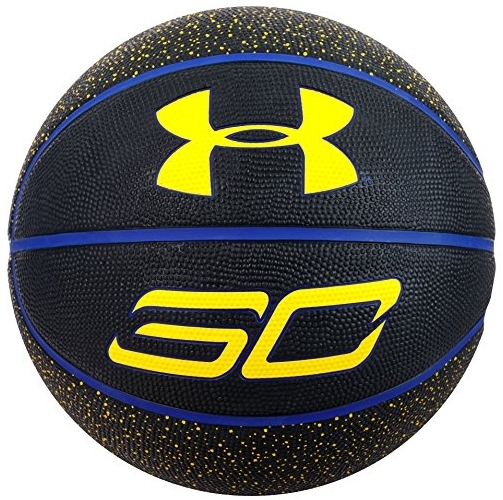 Signature balls are quite a new thing on the market and we really weren’t sure what to expect from Under Armour Stephen Curry outdoor basketball model. With an opened mind, we bought and tested this model and found a couple of interesting things. Let’s start with the basic ones: this is an outdoors basketball, although the indoor tests showed satisfying results as well. It is an official size 7 (29.5″) and it is covered with Under Armour patented UA GRIPSKIN rubber that really feels nice. We also should mention that based on previous UA models, this type of material lasts long even with the increased outdoors usage. And the last thing to mention is the looks: it really does look good. Yellow on black combination with the logo and the number 30 makes it instantly recognizable, especially by the kids. UA GRIPSKIN is a technology that needs no praises as it has proven its qualities on a number of UA models. But, for those of you unfamiliar with it, here are the key features: this ball provides excellent grip and a soft feel, it performs well when it gets dusty or dirty. The wet hand also showed remarkable results, especially if you take into account that this is an outdoors rubber ball. Let’s just put it this way: this is a Steph Curry signature model and if you were to have the handles like he does, this ball would definitely be capable of performing to par. The channels are not as wide as you would expect but it really is surprising that the release is not comprised because of it. Outdoors basketballs are often plagued by the issues regarding the bounce consistency. Well, this one isn’t. UA again did a stellar job and made this ball as stable as it can be considering it is rubber-made. We fiddled with the inflation rate and surface variations, but the results were always the same: excellent. While reading the comments of other users who also purchased this model, nothing but high praises could be found all over. I guess that would be a good indicator of the quality. 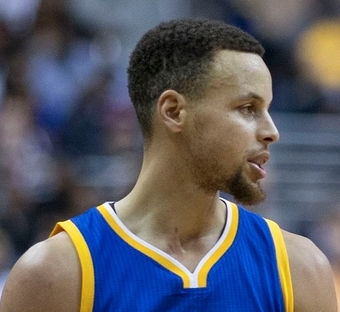 Under Armour Stephen Curry outdoor basketball is an excellent example how an outdoors ball should be made. The recognition factor also plays a role, especially with kids and no matter what court we brought this ball to, it was immediately the one being used regardless of other more expensive models being present. That should also speak tons to the value and quality of this model. It’s a great gift for fans of this amazing NBA sniper.